The Fr. Jan Twardowski Polish School in Bellevue invites to an open house for anybody who wants to meet the teachers and enroll their children. The school, now in its second year, is an organization separate from the Polish School in Seattle. Its curriculum includes Polish language, geography, history and culture classes offered to children from grades 1 to 8 – though the actual grade assignment is based on proficiency in Polish. The classes are at the St. Louise Parish School in Bellevue. The first day of school is Oct 4, 2006. This is the 13th edition of the biggest Polish event in the United States west of Chicago! This year the Festival features two exhibitions, a meeting with a Polish consul, a live demonstration of a Polish Winged Hussar plus the usual two full days of non-stop folk group performances, variety of merchandize booths and of course tons of pierogi, pancakes and other Polish foodstuffs as well as Polish beer. There will also be polka contests on both days and dancing in the evening. The Visions of the Polish Madonna exhibition is at the Church Hall and the Polish Regional Costumes exhibit at the Polish Hall. Special guest of the Festival, Consul for the Cultural Affairs, Ms. Paulina Kapuscinska answers questions at the Library form 1 to 3 pm on Saturday. .
Have you noticed the Polish Home parking lot getting bigger recently? It’s the first tangible result of the Polish Home Expansion Project – enjoy more space and support the Project! This is an open monthly meeting, everybody interested in the project is invited to come and discuss issues. Volunteers are also welcomed to the meeting! Where: at the Soaring Crane Gallery, Cape Kiwanda Hotel, 33105 Cape Kiwanda Drive, Pacific City, Oregon 97135; admission free; from June 15 till Nov 15, open daily from 10 am till 5 pm, tel. 503-965-7848. Reception with the Artist on Sep 20, 2006, from 3 pm to 5 pm. Lombard is a very well known, and to many - a legendary pop & rock group from Poland. They debuted in 1981 - the year of Solidarity (which they supported strongly) and were very popular and prolific throughout the 80s. Then they made a vigorous comeback in 1999 with a young dynamic singer Marta Cugier and three new CDs in one year (and five more since 2000). The six person band comes to Seattle with Marta Cugier and the long time leader Grzegorz Strozniak presenting a mixture of unforgettable hits, like Przezyj to sam, as well as new compositions. This year, classes at the Juliusz Slowacki Polish School in Seattle start on September 11. If you haven’t done so yet, you can also enroll your child (or yourself!) on the first day. The School is open to individuals of all ages and varying degrees of language skills, from none to advanced (grades 1-8 for kids, beginners and intermediate group grown ups). Besides Polish language and literature, children learn history and geography of Poland. The classes are held at the Polish Home in Seattle. 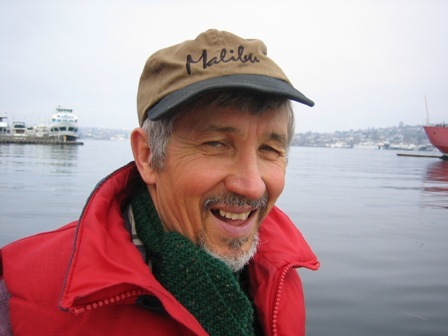 This 30th edition of the annual Festival in Port Townsend, hailed as the Woodstock of wooden boats, runs from September 8 to 10 and includes boat building workshops, presentations, booths with merchandise and of course plethora of boats to see. Among the home made constructions on display, Vladimir (Wlodek) Rylski, known for his lightweight folding solar catamaran will also present his newest construction. Where: At the Northwest Maritime Center and the waterfront in Port Towsend, WA; day tickets $12 regular, $6 students & seniors. 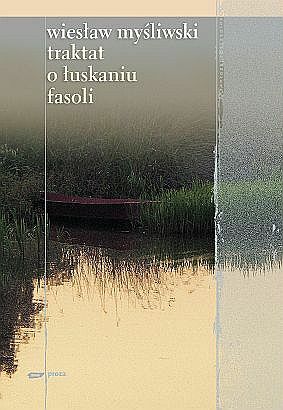 The book for the meeting is Traktat o luskaniu fasoli by Wieslaw Mysliwski, published by Znak in 2006. Mysliwski, a writer and playwright, was the very first recipient of the prestigious Polish literary award, Nike in 1997, which he received for his book Widnokrag (The Horizon). Traktat, his first novel for 10 years, is written as a monologue to a mysterious visitor in whom the narrator confides his life long experience and wisdom. The book has already earned raves from the Polish critics and readers. The book is available on the internet. Please see the club website for more details. The Polish Home reopens after summer on September 1, and will be open on as usual, that is on every Friday night from 7 pm and on Sundays from 1 to 4 pm, as well as for scheduled events. Please consult the calendar on the Polish Home website for details.